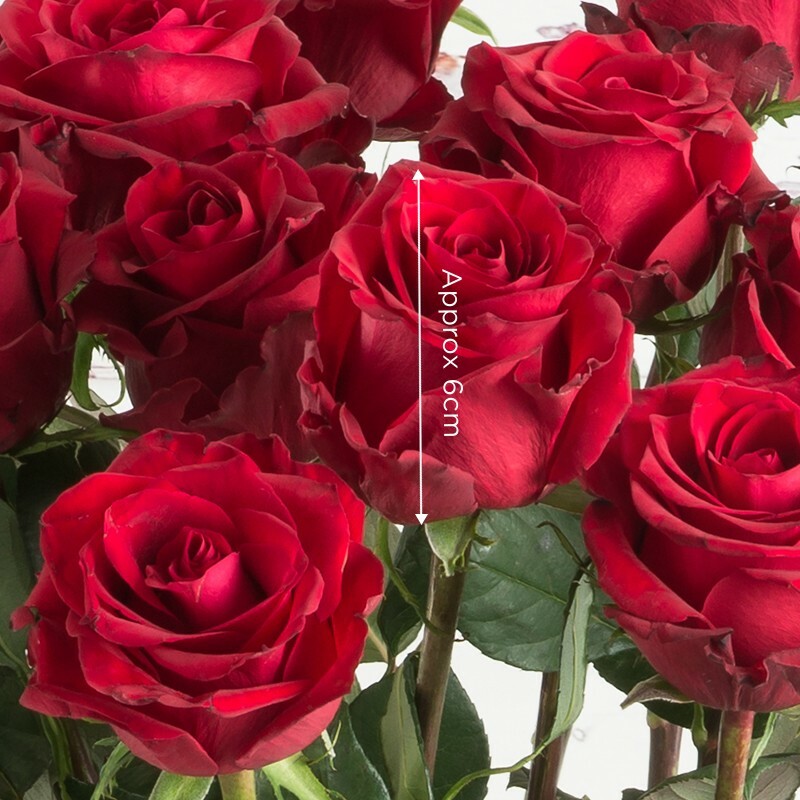 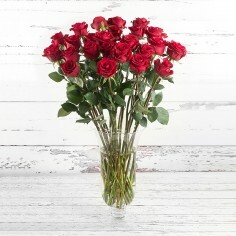 The ultimate gift this Valentine's Day, 24 of the best red roses, amazingly long-stemmed with the largest heads to wow someone special. 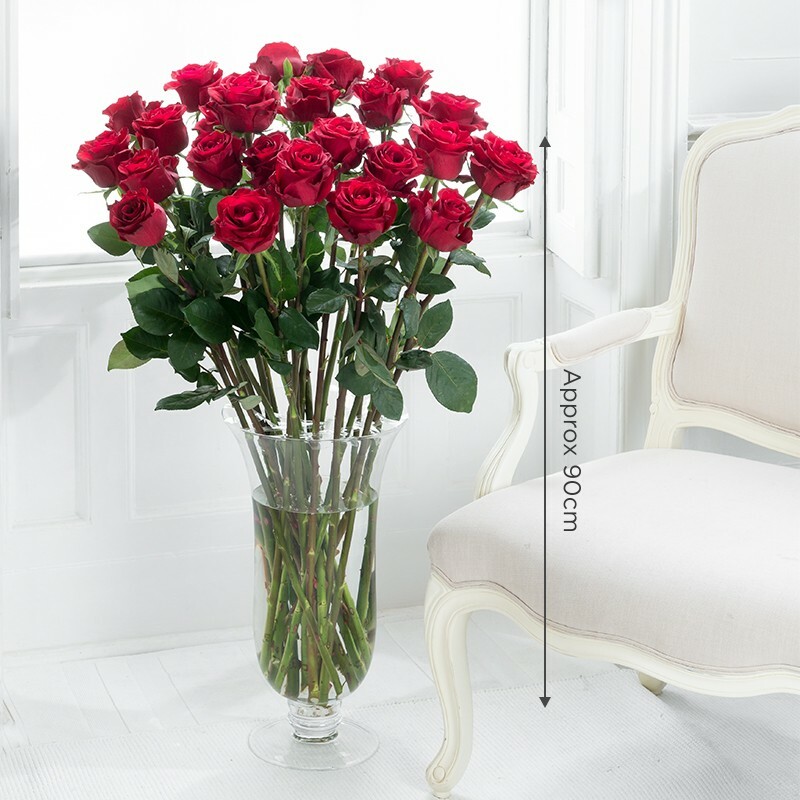 The rose head size for these beautiful blooms are one of the largest available. Dimensions: Stems are approximately 90cm tall & rose heads approximately 6cm in height.